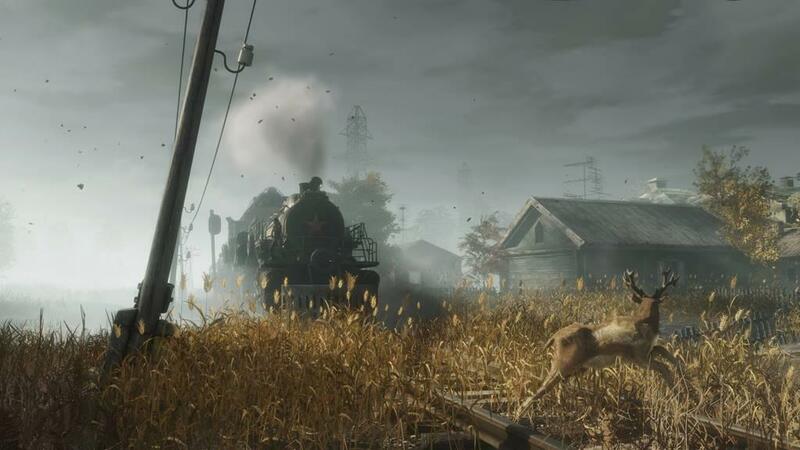 After the disappointment of a certain other post apocalyptic game that came out late last year, Metro Exodus is a great game for anyone that wants to get their nuclear fallout fix. Despite the very unfortunate situation taking place on the PC side of the game, I feel like the game should speak for itself. 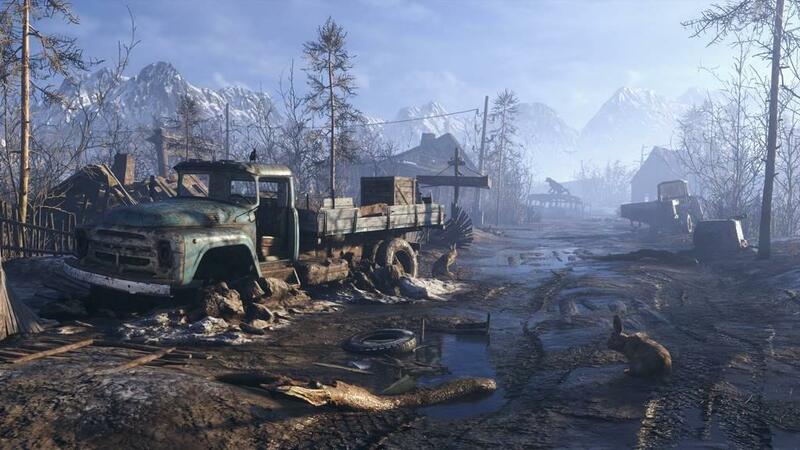 Metro Exodus is a great first person shooter with fantastic worlds to explore including snowy cities, deserts and forests. Combine that with somewhat predictable but good story and you have what is probably the best game in the Metro series to date. 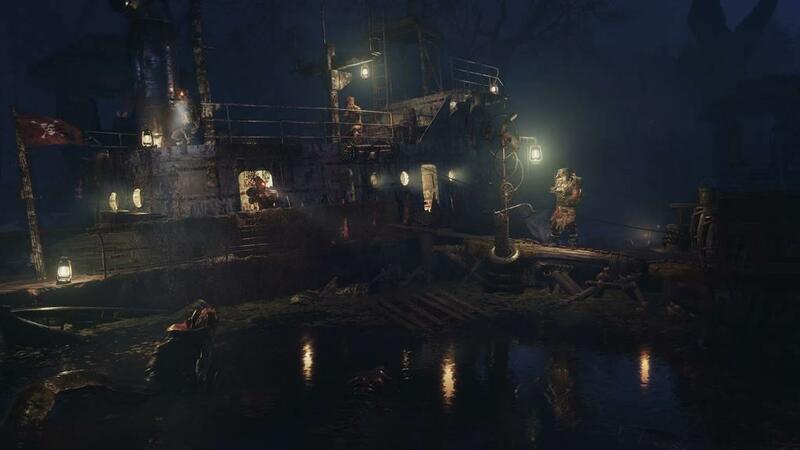 Metro Exodus continues the story of Artyom and his small group of friends including Anna, who is now his wife, as they desperately trying to find a normal place live after the world almost destroyed by nuclear war. They think that there are only a small group of survivors left, 50,000 out of once was over 7 billion, but after an early revelation, they discover that there are many more people out there and realize this is their chance at a normal life. As the name suggests, the group leaves Moscow on a train called the Aurora where they try to finally find a place to settle down that is free of bandits, death and mutants. The game takes place over the course of a single year, with each section of the game being one of the four seasons. 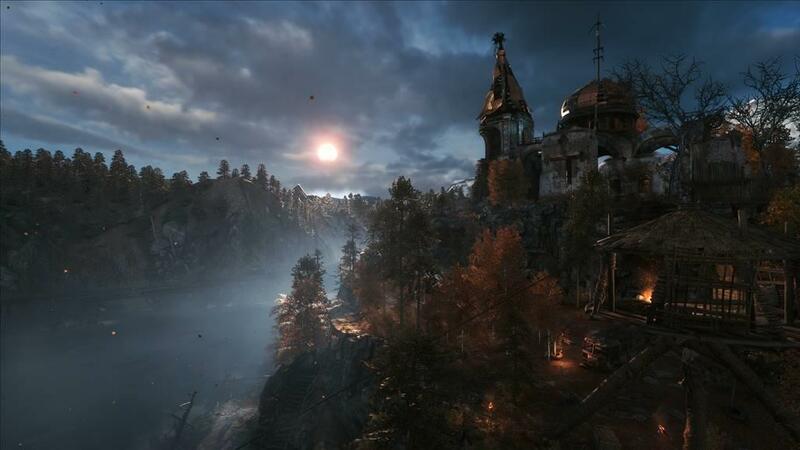 Metro Exodus is somewhat of a linear/open world hybrid. Each section of the game will usually have a linear story section where you will have to get from point A to B. After that is where it gets to the open world part of the game. 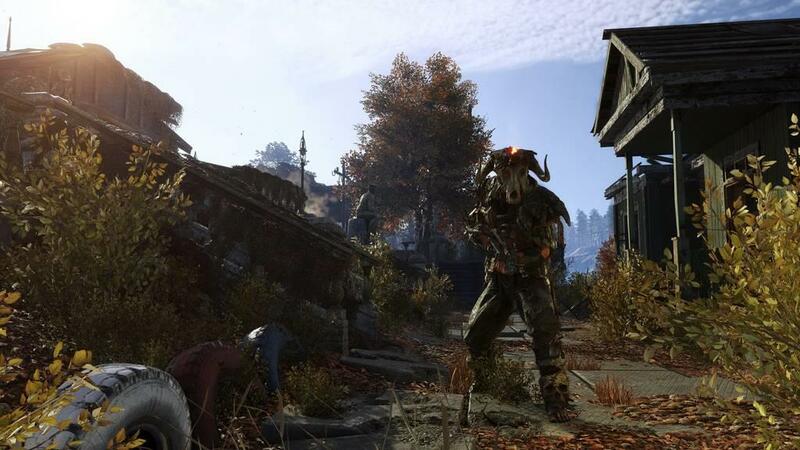 Each season will have it's own world for you to explore, each with their own objectives and side quests. 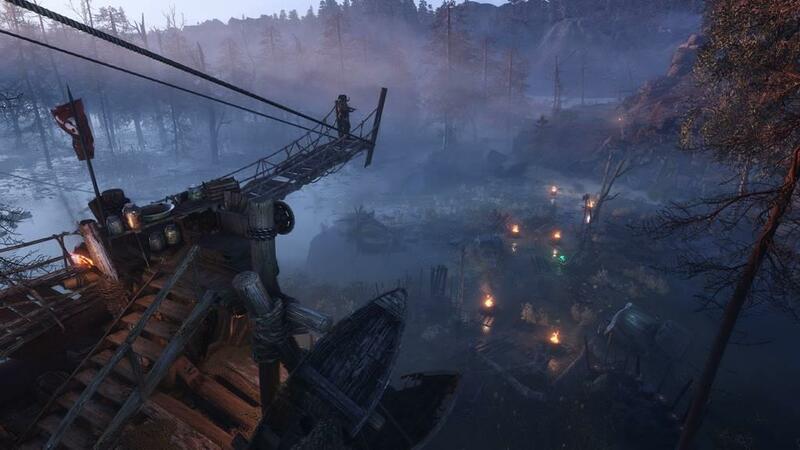 The giant X on the map will be your main objectives. Completing these will advance the story and once return to the Aurora you will move onto the next section of the game and can no longer explore the area. 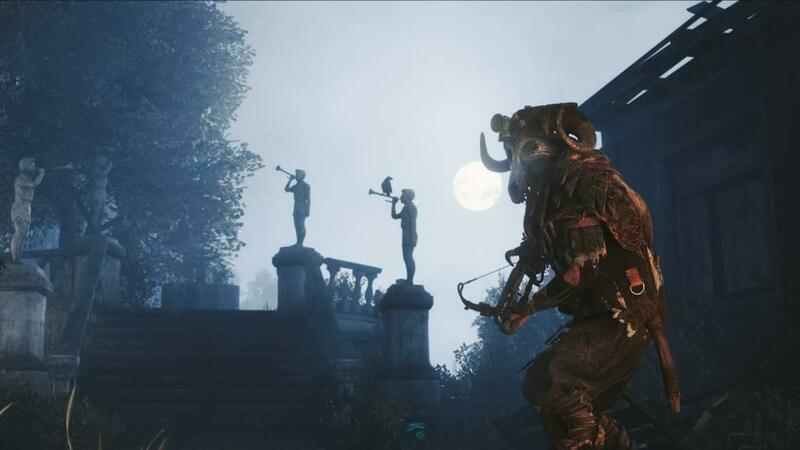 As for side quests, they are small enough that they are enjoyable and worth checking out but they aren't all just fetch quests that get boring after a while. You also won't have a journal filled with about 50 side quests that go unfinished because they are all the same. 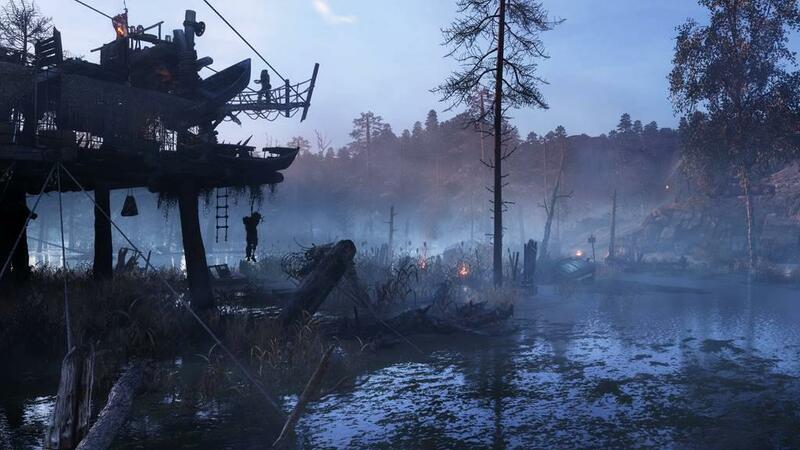 Throughout the world you can also find a number of bandit camps which I highly recommend checking out because they are always filled with tons of gear and materials which is essential to survival. 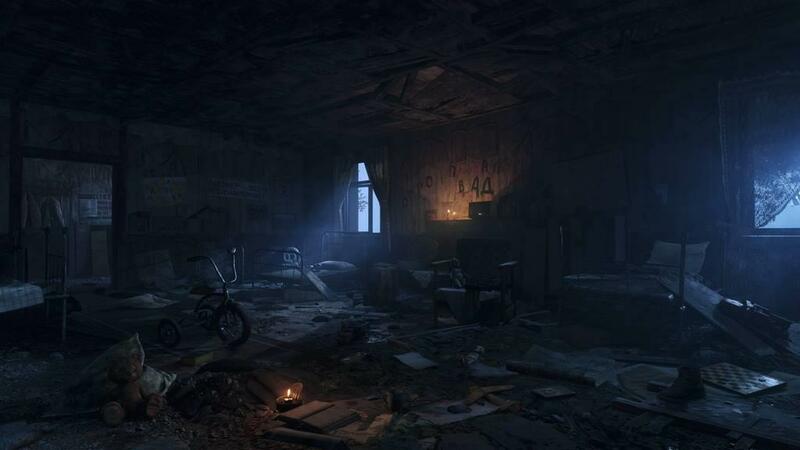 Throughout your travels in post apocalyptic Russia you will need to find supplies to to survive. In certain sections of the worlds you travel, you will need to put on your gas mask in order to survive. It's important to only use the gas mask when you need to as the mask needs to be maintained. If you take damage while wearing the gas mask, it will become damaged and will eventually crack. You can hilariously slap a small bit of duct tape over the crack in order to fix it, but in all seriousness you need to materials you collect in order to fix it. You also need to create and keep an eye on your filters. Filters protect you from deadly gasses that are lingering throughout the world. You have a timer attached to your wrist band that tells you how much time is left before you need to change it out. You can easily swap out a filter by pressing down on the d-pad however you also need to keep in mind how many filters you have left. You will be crafting a lot in this game and it is very easy to run out of supplies. While out in the wilderness you can craft medkits, filters, and items like throwing knives or steel balls for one of your guns. In order to craft more useful items like ammo and grenades, you need to find a work bench. Work benches can usually be found in bandit strongholds or bases for allies you find along the way. Here is where you can create ammo for all your guns, repair your mask, clean your guns so they don't perform poorly and you can also swap out . Guns you find in the game can all be upgraded and you can swap out any modifications you find at any time as long as you are at a work bench. I absolutely love this because you are able to play the game the way you want to play. Personally I hated all of the scoped weapons I found because i'm terrible at sniping on a controller. At a work bench you can swap out the scope for something else like the normal iron sights or a red dot sight. When changing out gear, you will notice the stats of the gun changing so you can sacrifice damage for stability or higher stability for lower mags. Personally I recommend higher ammo capacity because you'll need them. You will encounter human enemies but will also encounter mutants. 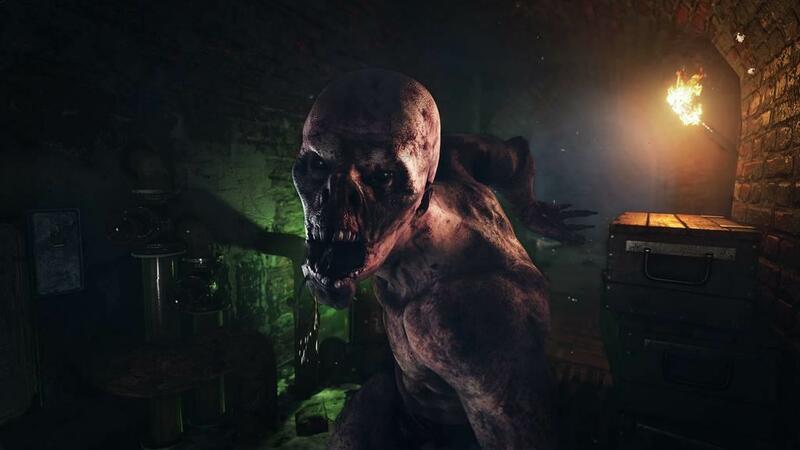 The game loves throwing endless waves of mutants at you while you are simply trying to repair the electricity in a building so you will drain your ammo rather quickly. You can insta-kill or knock out human enemies if you get near them but then can also drain your health rather quickly. On the technical side of things, there were a few issues I experienced. I played this game on an original PlayStation 4 and did run into some FPS drops occasionally, especially when it came to fighting off mutants. While it wasn't a dealbreaker, there were times where I died to an enemy since aiming was more than difficult with the game can't keep up. The major issue I have is with some of the conversions the characters have. While the voice acting is great, there is an issue where sometimes, characters will start talking before the other one is finished. At first I thought this was intentional because it happened when a group of the characters were arguing with each other so it did sound like a legitimate argument. Then I noticed it would happen simply when two characters talk to each other. 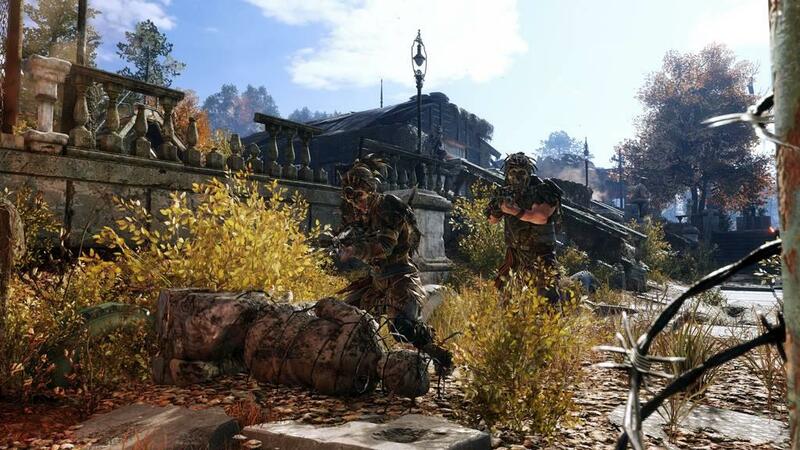 It could be something like "Artyom and I will go" and before they finish their sentence, another character will go "Great, we'll check out this location". There is also some awkward pantomiming with some of the performances. It's the typical video game over acting where characters will be swinging their arms around in frustration or bang the table with their fist long after they finished talking. Also some of the voice acting from enemies was weird. If there are only a couple of human enemies left after you defeated their whole group, they will surrender to you. So they will say things like "I GIVE UP DON'T SHOOT ME!" while putting their hands up or getting on their knees. Then all of a sudden you will hear them say "I WILL KILL YOU! DIE!!!" 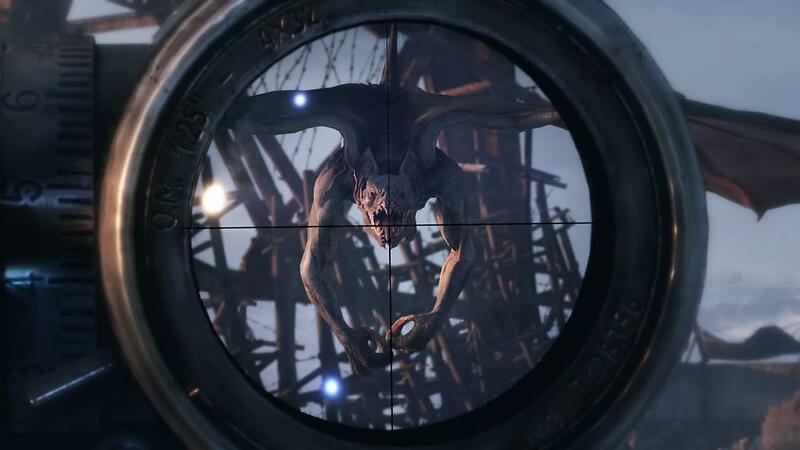 It's also weird that Artyom never speaks at all throughout the story and yet he narrates the opening video and narrates the loading screens when you hit a new chapter in the story. I mean there is an explanation for this as Artyom suffers an injury but it's just weird how characters talk to you and you have all these emotional moments, especially with Anna and yet you stay silent the whole game. While I really enjoy the banter and relationships between all of the characters in the game, I would say that the story is somewhat predictable. That doesn't make it bad but I found that I was able to predict certain story beats before they were about to happen. After playing and/or watching a lot of videogames and TV shows that deal with this sort of situation, you pretty much get a feel for whats about to happen to the characters. For instance, we have seen the whole characters show up at a place thinking they are meeting nice people only for it to go horribly wrong tons of times by now. Then there is the laughable amount of times in the story Antyom is knocked out only as a way to advance the story. When it happened right in the beginning of the story it was one thing. Then it happened again shortly after. Okay, it made sense. Then it happened again and I just couldn't help laughing. It happened many more times throughout the whole game. However the main issue I have with the game is a story thread which occurs over the course of the game. The problem I have is that it just seems so forced and lacks and subtly that when the incident does happen, at least for me, it lost all emotional impact that it would of had. Then there is the ending. Of course I won't say specifically what happens but there are multiple endings in the game. The way you play the game determines what kind of ending you will get. As the developers put it, "you get the ending you deserve". There are no prompts about story branching, no QTE's that you only have a certain amount of time which decision you want to make. So do I feel like the ending I got was the one I deserved? I guess? I like the idea that the way you played the game determined the ending as it reminds me of Silent Hill 2, one of my favorite games of all time which was the same way when determining what ending you get, but they weren't kidding where they said there is no decision making or decision prompts to chose from. Thinking back on the whole journey, It's hard for me to go back and pinpoint what exactly I could have done differently to get a different ending. I feel like the ending that I did get was at the very least a middle of the road, bittersweet one. 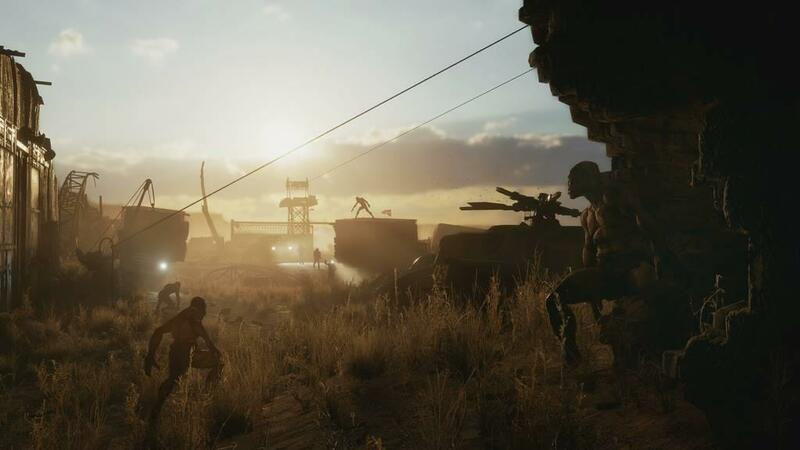 Either way, I felt like it was a satisfying conclusion to the story of Artyom while also leaving the door open for the story to continue in the future. It was a somewhat predicable story but at the same time I felt that it was still enjoyable due to the characters being so lovable. 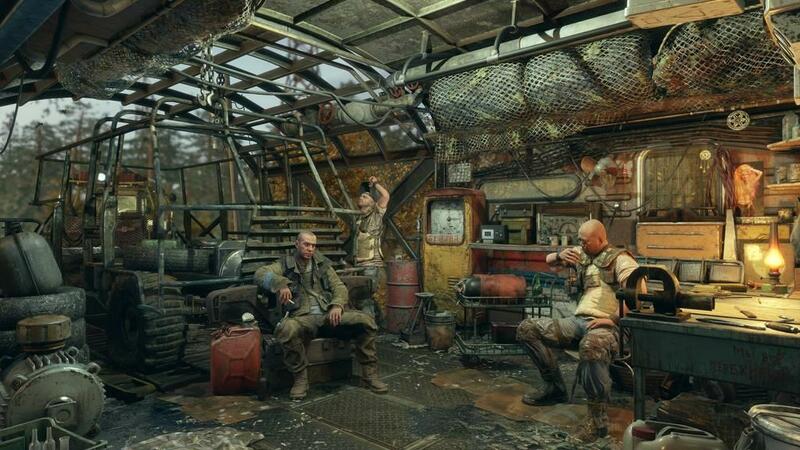 Either way, aside from the weird audio issues and some FPS problems, I enjoyed my time in Metro Exodus. I instantly fell in love with all of the characters and wanted to see them all be able to finally put all this crap behind them and find a place where they could start a new life. 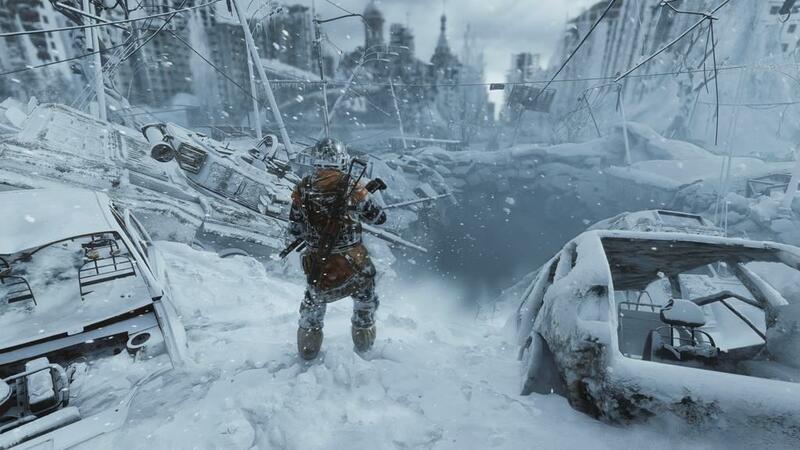 I loved traveling to all of the various locations in the game and being able to just take in the sights despite it being a post apocalyptic land of death and destruction. 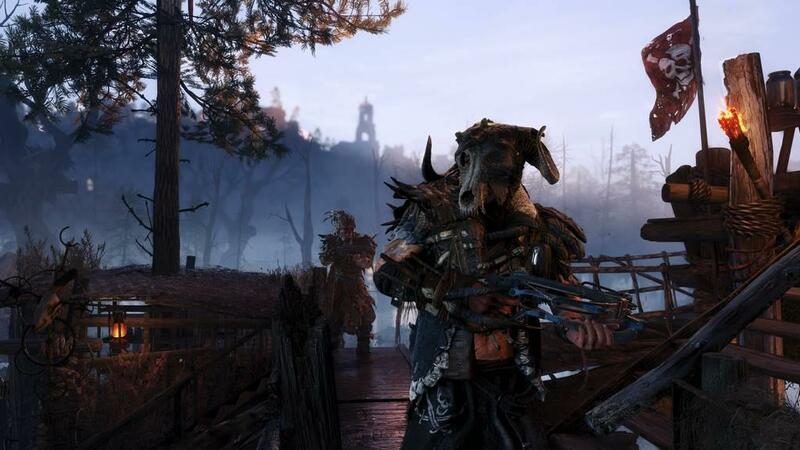 While this may be the end of Artyom's story, I hope that Deep Silver is able to continue the series in the future as I believe there are many more stories in the Metro Universe to be told.